By J. Yaworski – originally featured by Men’s Health. You already know soda is a big fat problem for your waistline. But new research finds that it’s not too sweet for your heart, either. Just one sugary drink a day increases a man’s risk of a heart attack by 20 percent, according to a study in the journal Circulation. Harvard researchers analyzed 22 years of data gathered from almost 43,000 men. During that time period, 3,683 men suffered from heart attacks. The men who consumed the most sugary beverages—like soda, sports drinks, and energy drinks—were at a higher risk of having a heart attack compared to non-drinkers. This increase persisted even after the researchers accounted for other risk factors like smoking, family history of coronary heart disease, and physical inactivity. “The sugar-sweetened beverages and coronary heart disease is probably due to the large amount of easily digested sugar in these drinks,” says study author Lawrence de Koning, Ph.D. These cause higher levels of inflammation and harmful lipids in the blood, which are both indicators of heart disease. The more you consume, the more your risk increases. For each additional serving of sugary beverages per day, the associated risk of heart disease increased by 19 to 25 percent. And that’s a problem for Americans. According to the American Heart Association, sugar-sweetened drinks made up 3.9 percent of our daily calories in the late 1970s to 9.2 percent in 2001 in the United States. Don’t ditch all sugar, though. Natural sugars found in foods like fruit and milk are fine, since these foods offer plenty of nutrition (plus, in the case of fruit, fiber to blunt blood sugar spikes). “Sugar-sweetened beverages should be treated as a rare treat,” says de Konig. Having a sugary drink less often—such as twice weekly or twice monthly—didn’t increase the participants’ heart attack risk, researchers found. Diet versions weren’t linked to cardiovascular disease either. 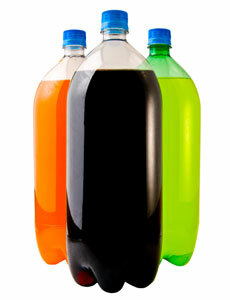 (But choosing no-calorie diet over the regular sugary soda might not be the smarter choice. Research shows that diet soda drinkers have larger waistlines than non-drinkers. Part One of this series dealt with the concept of “eating for nourishment versus eating for pleasure.” In Part Two we will be focusing on avoiding the temptation of junk food by keeping it out of reach. Listen, when you’re in the process of cleaning up your diet and losing weight, there are certain things that are going to be outside of your control. For example, a co-worker brings in doughnuts, a friend bakes you a cake for your birthday, etc. What you can control, however, is what you place in your shopping cart and your cupboards. Trust me, if it’s in your home you will find a reason and a way to eat it. Think about the Halloween candy you purchase. If you’re like me, passing by the bowl of mini candy bars is temptation enough to eat one (or two!) and I don’t particularly like candy bars. The point is, if there’s a bag of Oreo cookies in your house or a gallon of ice cream in your freezer 99% of people WILL justify eating it at some point. You know the reasons: you’ve had a rough day, you’ve been sticking to eating healthy and deserve a reward, having just one cookie won’t hurt, or maybe you’re hungry and there’s no better options. Whatever the reason is, you (and everybody else) will eat that junk food. But it’s for the kids! I know, I know, the cookies, ice cream and candy are for the kids! Here’s some food for thought (pardon the pun): A study published in the Health Education & Behavior journal looked at six middle schools over a two year period. In three of these schools the snacks offered did not change, but did so in the other three schools in Connecticut. Snacks that did not meet the nutrition standards set were removed and replaced with water, 100 percent fruit juice, baked chips, pretzels, granola bars and canned fruits. The train of thought was that when these junk food items disappeared from the schools, the kids would naturally miss them and then go home and eat more. However, the result was actually the reverse — the study showed that when pop and fatty snacks were taken out of schools, the kids did not make up for them at home. Instead, they ate no worse at home and even better at school. When healthier options are presented, everyone wins. Just as junk food is not good for kids, it is not good for adults. Removing junk food from your home benefits your whole family. Our bodies were not designed to live off unhealthy food. You do not need ANY junk food. Junk food makes you fat, destroys your health, and simply makes you feel bad. Trust me… you don’t need it. Just to clarify, for the purposes of this article I’m talking about the cookies, sugary drinks, cakes, ice cream, frozen pizzas, and other highly processed foods that most people have in their homes. I’m not talking about a white flour free, dairy free, vegan, organic, “sticks & dirt” type diet. At this time, we’re speaking strictly about getting the empty calories that have virtually no nutritional benefit out of your home. Guess what? It’s a bad idea to cut out unhealthy snacks and replace them by starving yourself. Our goal is to substitute healthier alternatives for chips, candy, cookies, etc. FYI, the less junk food in your diet, the less you will crave it! Protein Bars: When you’re craving something sweet, a protein bar is good alternative. Most major grocery stores and even places like Target and Wal-Mart sell boxes of all-natural bars (Cliff bars, Zone Perfect, Pure Protein, etc.) These bars are always a better choice than cookies to satiate your appetite. Flavored Seltzer or Water with Lemon: As a much healthier (and zero calorie) alternative to sugary soft drinks, try flavored seltzer or water with lemon (or lime). Yogurt with fruits & nuts on top: Ice cream can be replaced by non-frozen yogurt. It is highly likely your body is just craving something cold and sweet–so make it extra-refreshing with some generous chunks of real fruit. These are just a few suggestions to get you started. For additional ideas you could Google a phrase like, “Junk Food Alternatives” or “Healthy Snacks.” As a a reminder, any kind of “Low Fat” or “Reduced Fat” cracker or cookie is still probably high in sugar and highly processed – skip these. As always, Fit or fat? The choice is yours. 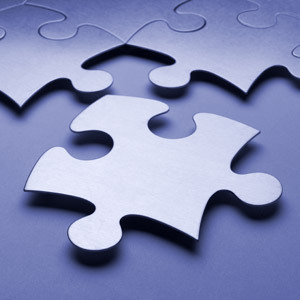 This article was written by Rich Brugger. He holds a Strength Conditioning and Weight Training Certification from ISMA and is Black Belt Master Instructor. He co-owns and operates Martial Arts for Life in New Providence, NJ with his wife Michelle (a certified personal fitness trainer, a certified nutritional consultant and Black Belt Instructor). 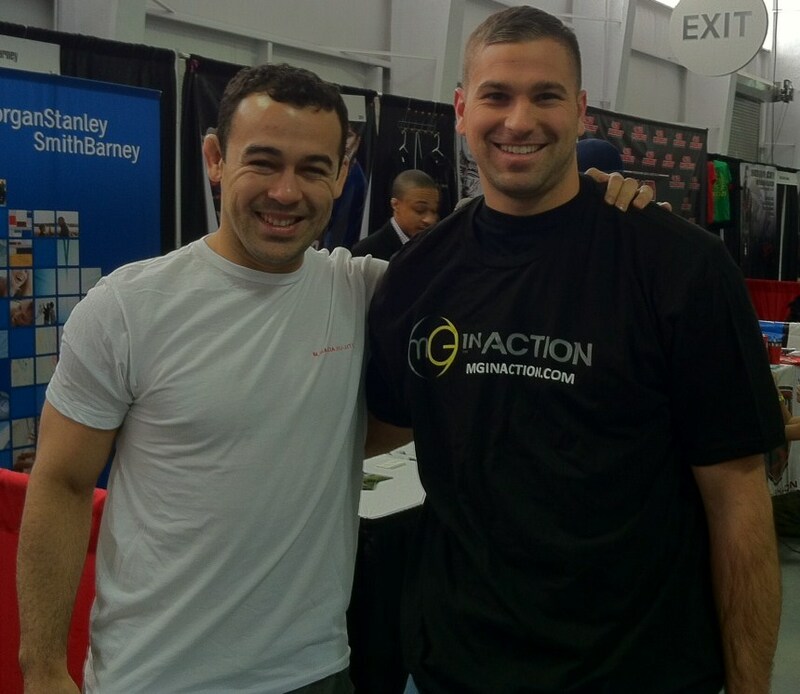 Marcelo Garcia and Master Brugger at the 2011 MMA Expo in New York City. Having “discipline at the plate” is a key trait of successful hitters in baseball. It refers to having the self-discipline to only swing at quality pitches that can be put into play and lay off pitches that are poor quality or out of the strike zone. Hitters that have this characteristic are coveted by major league teams and often enjoy great success. Of course, we’re talking about another type of discipline at the plate here, one that leads to success with regard to one’s health and longevity. This is the act of exercising discipline when eating. According to the TIME Magazine article, “Eat Less, Live Longer?” decades of calorie-restriction studies involving organisms ranging from microscopic yeast to rhesus monkeys have shown that reducing the amount of food consumed has extended the life spans of these organisms by as much as 50%. One of the healthiest countries in the world is Okinawa. Nearly 30% of Okinawans live to be 100! The Okinawans have a saying that goes like this “Hari Hachi Bu”, which roughly translated means “80 percent full.” The idea is that you never stuff yourself. Instead of eating until you’re full, you eat until you are not hungry. This takes practice and discipline but the benefits are significant. 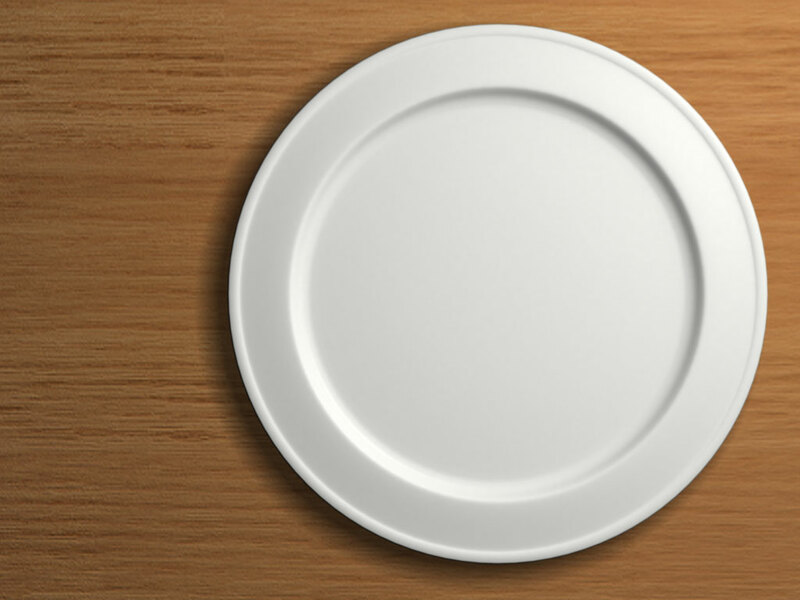 To put this discipline into practice, try using a smaller plate for all your meals. This makes it seem that there is more food on the plate. Research shows us that by doing this, you will automatically eat less. Most entrées at restaurants are oversized. Try sharing one entrée with someone else or only eating half and taking the rest to go. Replace a 12” sandwich with a 6”, etc. Remember, instead of eating until you are full; eat until you are no longer hungry. When it comes to your health, a little bit of a discipline goes a long way. For you to be at the top of your form, to be action oriented, fast moving, and extremely productive, you have to have high levels of physical and mental energy. For you to be able to take advantage of all the possibilities around you, and to have the continuous enthusiasm that keeps you and others motivated and moving ahead, you have to organize your life so that you feel terrific about yourself most of the time. The first key to high energy is a proper diet. To perform at your best, you must eat the right foods, in the right balance, and in the right combination. Your diet has an inordinate impact on the amount of energy you have, how well you sleep, your levels of health and fitness, and your performance throughout the day and into the evening. The second key to high energy is proper weight. Proper weight is essential for health, happiness, and long life. Being slightly under your ideal weight is best. As they say, you can never be too rich or too thin. If you are not happy with your current level of physical health, you need to set specific goals for yourself for the weeks and months ahead. The third key to high energy is proper exercise. The best activity for high energy and physical fitness is aerobic exercise. This type of exercise requires that you get your heart rate up into what is called the training zone three times per week. This training zone is about 120 to 160 beats per minute, depending on your age. You then keep it there for at least 20 minutes or more each session. The fourth key to high energy is proper rest. You need an average of seven to eight hours of sleep each night to be fully rested. You need to take off at least one full day each week during which you don’t work at all. You should take regular mini-holidays of two or three days each, every couple of months. You should take one and two week vacations each year when you relax completely and get your mind totally off your work. The sixth key to high energy is the elimination of negative emotions. This can be the most important thing you do to assure a long and happy life. Your ability to keep your mind on what you want and off of what you don’t want will determine your levels of health and happiness more than any other decision you make. The seventh key to high energy is for you to go on a 21-daypositive mental attitude diet, one day at a time. Resolve that, for the next 21 day, you are going to keep your mind on what you want and keep it off the things you don’t want. You are going to think and talk positively and optimistically about your goals, other people, and everything that is going on in your life. The more you practice the health habits we have talked about, the more energy and vitality you will have. The more you keep your conversation focused on your goals and on the things you want, the greater the amount of strength and power you will feel. You will be more alert and aware. You will feel more positive and action oriented in every situation.